Not everyone has the chance to cross the seas to experience the glitzy nightlife in Las Vegas, especially the music entertainment. But not to worry, a Samoan recording artist living in Boston, Massachusetts in the United States, Atoa Ripley is bringing you a taste of Vegas. Known as “the Samoan Engelbert Humperdinck”, Atoa will be putting on his show, impersonating the legendary Elvis Presley and other legends tonight. You can catch him at Travellers Point Hotel at Malifa where he will be performing with other experienced musicians such as Ulale and the All Star Band from American Samoa. 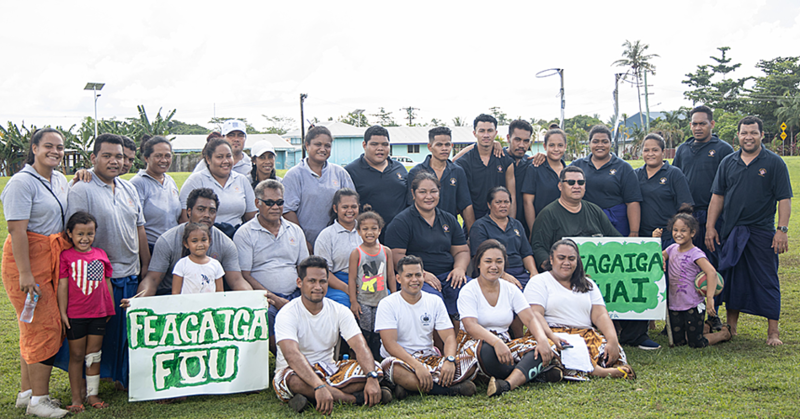 Atoa also performed at the Teuila festival in front of the government building this week. 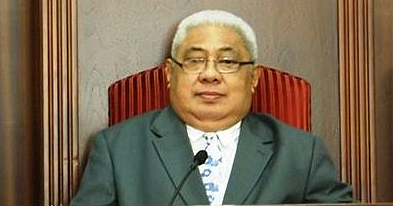 He said it has been pleasure for him to return to Samoa after more than 20 years living abroad. 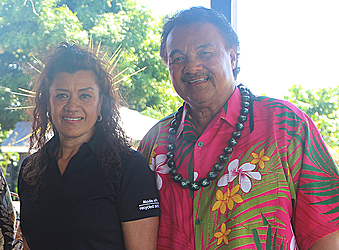 Atoa came with his wife Mokihana Ripley to be part of the Teuila festival and visit families. They were accompanied by experienced musicians of the All Star Band from American Samoa; Doug Smith, Failauga Pete Anoai, Arona, Francis, Chico Siuleo, Pouesi and Ulale. 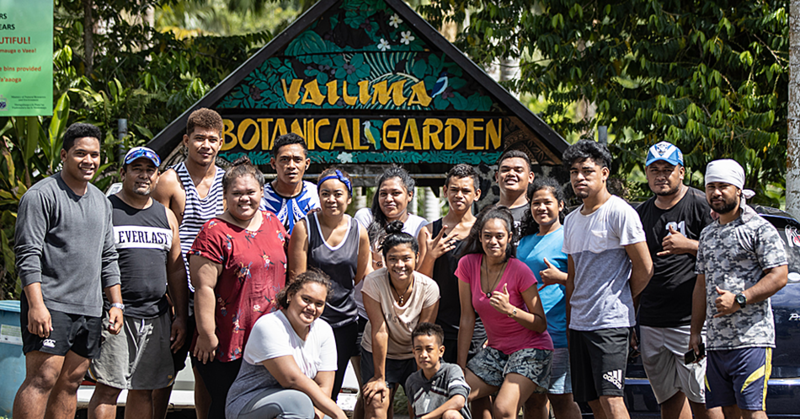 According to Tuala Ponifasio of Travellers Point Hotel, the performance from Atoa and the band will be a good contribution to the Teuila festival. He said it is also a good opportunity to promote Samoan stars living in the big world. “We don’t see them a lot but while they are here, it’s a perfect opportunity to showcase their talents,” said Tuala.